Invest in your Grow not the IRS! 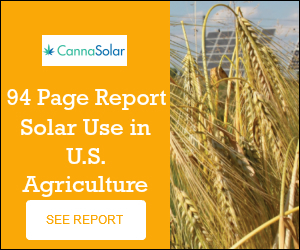 Commercial growers in California that have high tax burdens that want to lower their operating costs and increase their margins do so by investing in solar electricity & battery systems. The federal government alone will pay 30% of the cost of the solar system via the Investment Tax Credit (ITC). Thats money you were paying to the IRS and never seeing again. Instead you are investing back into your operations, lowering your operating costs and increasing your profit margins. Contact us today to learn how much you can can in tax credits on this years taxes.